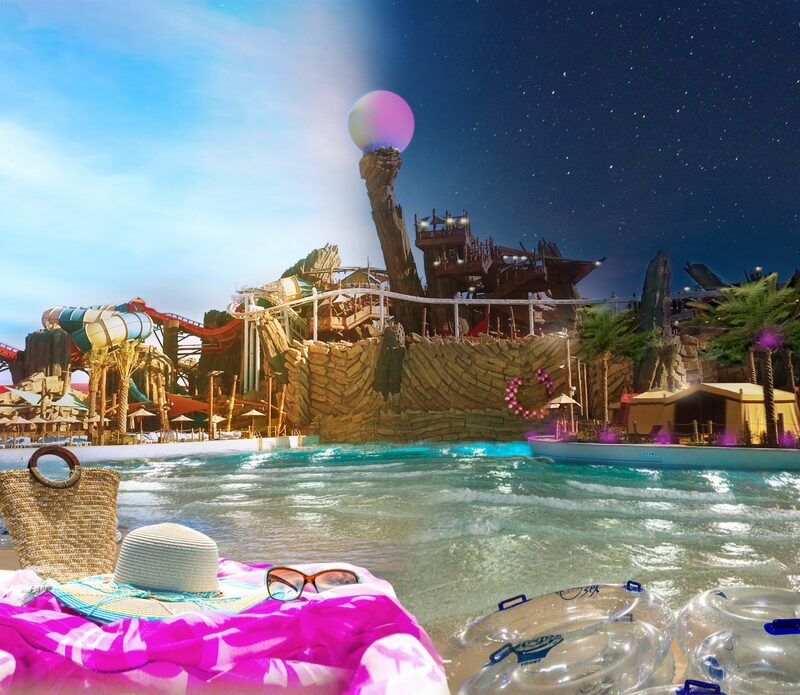 Yas Waterworld Abu Dhabi is back with its famous ladies day/night. For this, the client needed a complete new setup of sound and light at the Water Park outdoor area. The brief was to have an easily installed outdoor setup that can be quickly dismantled offering the ultimate dance floor and party feel. The challenge was also to have weatherized items due to its setup in the outdoor mostly wet venue. For the lighting setup, the waterproof Aquaray 400 moving heads as well as our outdoor LED pars the CPX 418, from Cyclops Lighting, were installed on a mobile truss rig, all operated by a Wireless DMX used for the signal distribution along the Avolites Titan one DMX controller.